On July 3, 2018, the Central European Initiative, in close cooperation with SERBIO, organized a scoping workshop on biomass-for-energy perspectives in South-East Europe, and particularly in Vojvodina, and the potential contribution of ETIP Bioenergy to un-tap them by bridging between local actors and EU stakeholders. The workshop has been organized in the framework of the 3rd South East European Conference on Sustainable Development of Energy, Water and Environment Systems, which gathered about 200 participants from academia and research from the Region. The workshop has been organized in Vojvodina, as it represents a highly developed agricultural region in Serbia with additional untapped biomass potentials. The economy is largely based on agriculture and food industry. Vojvodina has also a strong industrial tradition, particularly in the petrochemical sector. There is growing interests for opportunities deriving from valorisation of sustainable biomass, particularly at policy level. The ETIP Bioenergy SABS workshop on biomass-for-energy perspectives in South-East Europe has been attended by 20 experts in representation of a varied set of stakeholders, ranging from academia (University of Novi Sad and University of Belgrade, University of Zagreb), to associations (Serbian biomass association, SDEWES), institutions (Provincial Secretariat for Energy of the Autonomous province of Vojvodina) and businesses (NIS). 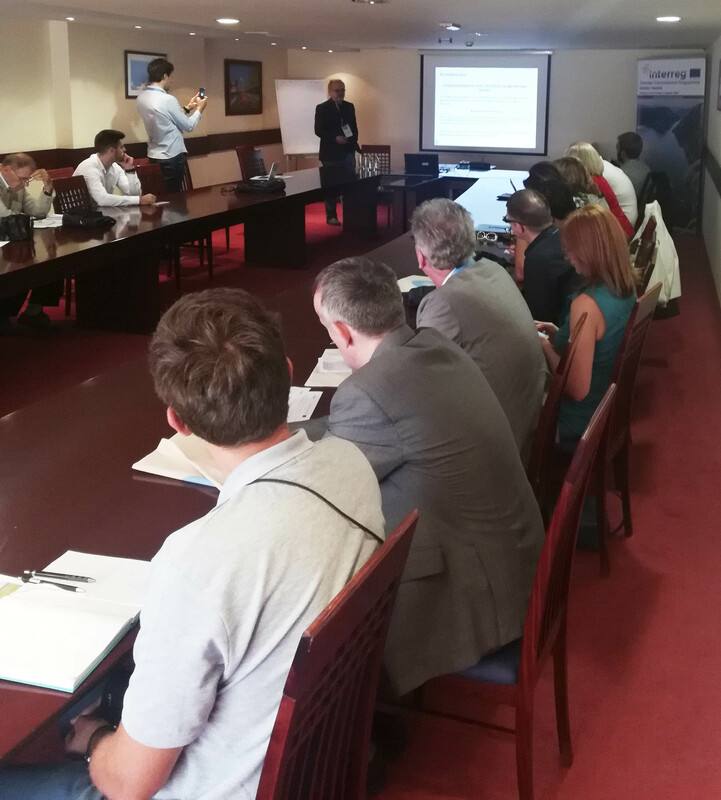 Participants had the opportunity to learn about the activities of ETIP Bioenergy, as well as about the potentials of biomass-to-energy value chains in the Danube region, Serbia and Vojvodina. In particular, Peter Canciani of CEI, who was chairing the workshop together with Mr. Natasa Rubežić, President of the Serbian biomass association, delivered a detailed presentation on the mission and objectives of ETIP Bioenergy, calling participants to join the Platform in order to ensure that specific challenges and needs of the region are adequately represented. Furthermore, Mr. Reiner Schellhaas of GIZ, illustrated the activities of the German funded project to support the development of a sustainable biomass market in Serbia. Even though focusing essentially on woody biomass for co-firing, this experience is relevant as it sets the grounds for the creation of a regulated and resilient local biomass market, which is a prerequisite for possible more advanced uses in the future. This topic was further analysed by Mr. Vojislav Milijić of SERBIO, who presented the results of studies and pilots on logistical models for the mobilization of woodchips in the country. The natural evolution of consistent local biomass markets being exchange and trading within the region, the following presentation provided an insight into the findings of Energy BARGE, a project co-funded by the ERDF in the framework of the Danube Transnational Programme. Mr. Thies Fellenberg of FNR described the online platform developed by the Project as a tool to foster B2B collaborations within the region and to support sustainable biomass mobilization on the Danube. However, previous presentations showed that - notwithstanding the relative novelty of secondary and tertiary biomass utilization – there is already a competition between different end uses and users. In this respect, prof. Milan Martinov of the Faculty for Technical Sciences of the University of Novi Sad expanded also on other constraints re the use of biomass as feedstock for material or energy use. Prof. Martinov also briefly summarized the presentation on biomass availability that should have been delivered by prof. Dumnić, who could not participate due to unforeseen circumstances. The last presentation has been delivered by Ms. Stanka Leskovac of NIS, who provided a useful insight in to the point of view of the oil industry regarding the potentials offered by renewable fuels, also talking about the specific experience of the Serbian oil company and the hindrances they have experienced while planning the development of 2G ethanol production. Interestingly, Ms. Leskovac pointed out that the topic is on the agenda of her company and that is not excluding to invest in sustainable biofuels production in the future. The workshop has been closed by Mr. Peter Canciani after a short round of discussion. The conference is mostly research-oriented, gathering academic & research institutions from the whole SEE region and beyond. This edition highlights particularly topics related to the nexus approach, know-how exchange, and sustainable development.